Providing a link between the Junior Performance Programme and the Elite Rugby Programme (ERP) is the Junior Elite Rugby Programme. 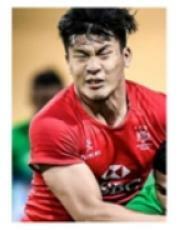 The Junior ERP offers guidance and support for individual players, of the requisite standard, who are deemed to have a long-term future in Hong Kong Rugby. Personal and Professional development of the individual is at the forefront of the Junior ERP such as assistance in choosing a suitable university, or with work placements. The player is supported, guided, and challenged as they plan their development into a professional rugby player.